I’m excited – are you? My last column was a relatively bare bones look at Patch 5.2 and a number of minor (yet significant) changes have been made that really have me wanting to get stuck into the new content. I am excited for the Isle of Thunder. This zone may look like another in the long line of daily quest grind hubs that we have seen ever since dailies were introduced, and of course that is correct to an extent. However, Isle of Thunder is shaping up to be somewhat different in that it is a progressive zone like the Isle of Quel’ Danas in the Burning Crusade and even the Molten Front in Catacylsm. As we progress through the zone more areas and more quests will open up to players. The Isle of Thunder also sees Blizzard trying to put the Multi back into MMO. I have been playing quite a bit of SWTOR of late and this push from Blizzard to offer small group content is something that has me excited as opposed to spam healing a companion that does everything for me. The core group of people I play WoW with is shrinking with every passing month and is no longer capable of raiding, but the new mini-bosses such as Oondasta on the Isle of Thunder will allow me to continue doing what I enjoy best in WoW- playing with friends. We get to keep our valor! This is an interesting move from Blizzard, who would normally reset our valor points with the release of a major content patch and new tier of raid gear. This time around they are allowing us to keep what we have earned and spend it on the new items that will be available as well as heavily discounting the gear that is currently available to us. This allows us to either grab gear as soon as we can access it from the new content or buy those few pieces we have had trouble upgrading to move into the next level of content. It also offers us the chance to quickly upgrade the gear of our alts to a level where we can participate in and enjoy current content. I have been playing WoW since launch and short of a binding (4 of the same half to be exact) and crafting on an occasional Sulfuron hammer for others I have never had a legendary item. The continuation of the Black Prince storyline will give me this opportunity. It may only be a gem but by God man it’s a legendary gem! And – my beloved pet battles also receive more love and bug fixes! Well it’s that time again: patch 5.2 is just around the corner and it’s a big one. I can’t hope to list everything that’s on its way in the patch but I will take a bit of a look at the bigger content that is being included. First, we have the new Daily Quest Hub: The Isle of the Thunder King. This new area opens up a whole new chain of daily quests for players to undertake. Players will join the assault on Emperor Lei Shen’s island stronghold and offers players the chance to participate in special events. It will progress much like the Isle of Quel’Danas, where players unlock additional quests and areas as they progress through the island. There is great news for Blacksmiths as they will eventually be able to craft raid worthy weapons and more enticingly (in my opinion) classic weapons from the past. This area also includes the new raid The Throne of Thunder which will drop tier 15 armour sets. This raid will consist of 12 new bosses, which will be split into 4 wings for the raid finder. As expected, we see the Wrathion legendary quest line continue and offer players the chance at a legendary metagem. More world bosses have been added to the game; these include Nalak, the Storm Lord and Oondasta. This leads me directly into a massive change coming for many players – World bosses will be tagged to faction. Meaning that multiple groups of the same faction can tackle these new bosses (as well as the old ones) and receive loot. It looks like we will also finally see the introduction of the Warlock quest to change their fire spells to green. In addition to these major content additions, we are going to see a lot of class changes – far too many to list in a column such as this but the outlook for the majority of the changes that I have seen is relatively positive. 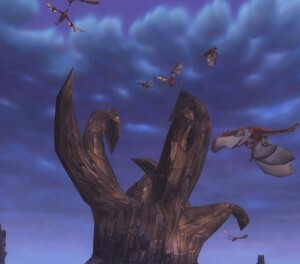 Whilst this is nowhere near to covering the content of patch 5.2 (a much more comprehensive list can be seen on just about any of the wow community sites) it does include some of the major changes and I have to say some of the new mounts coming look amazing and will likely encourage me to explore this new content. One of the more exciting changes revolves around the content we have already seen. With the addition of Thunderforged weapons to existing raid bosses, Blizzard are making a concerted effort to encourage players to return to cleared content. More importantly to the more casual players and LFR raiders is that these new high ilvl items being added to current content offers us a way to catch up gear wise in an effort to move into the new content. Anyone who read my last piece knows where I currently am with the game and I have to say that 5.2 has me excited again. Having looked fairly closely at the new content and (more importantly) its rewards, I am really looking forward to this patch. Excited enough to contemplate active progression raiding once again. As I’m sure most of you are aware Patch 5.1 went live yesterday. David was kind enough to announce the full list of changes – as you can see it was a fairly significant patch with a number of bug fixes as well as some added content. The most significant inclusion for the average casual player is perhaps the first steps of the Pandaria campaign. The content can be almost exclusively completely without flagging for PvP, which for many players is a positive thing (there were a number of threads on the official forums from concerned PvE players as to whether they could participate in the campaign). The mobs for the daily quests also award Black Prince rep so it’s worthwhile getting straight into the new content even if you’re not at honoured for the additional quests for the Wrathion chain. I ran through the initial quests with my guild mates yesterday as well as completing the two new Alliance scenarios. I have to say that this is the first time, with the possible exclusion of the Death Knight starter quests (that I can currently think of) in WoW’s lifespan where I can see the growth of an NPC character through quests. Without giving too much away for those who have not done it, King Varian Wrynn displays a number of characteristics I would not have ascribed to him previously. This bodes well for the future of this expansion and the Pandaria campaign itself. Another major change for the average player is the introduction of item upgrades. Players can now upgrade the majority of items (both PvE and PvP). Upgrades vary in costs and the exact amounts can be seen in the patch notes. Having already upgraded a couple of items I can tell you it is relatively easy and the stat changes are made quite obvious before you finalise the process. Probably the biggest change with this patch comes in the form of the Brawler’s guild. Whilst I personally like the concept of the Brawler’s guild I am not entirely happy with the way in which Blizzard have implemented it. Participation is via invite only – these invites can only be bought off the Black Market Auction House or from rare spawn Horde and Alliance NPC’s in the new PvP areas (I am unclear as to whether these NPCs flag you for PvP or not). Additionally you can be invited by someone with the appropriate rank within the Brawler’s guild. For the average player there is going to be a long, long wait before they will see this content. On my server, which has a fairly poor population and progression rate, invitations are already over 60k gold on the Black Market AH. The NPCs that drop invitations are heavily spawn camped. Hopefully Blizzard will continue to increase the amount of invitations and the way in which they can be obtained. Pet battles have also received some attention, the user interface now has added functionality that makes it easier to sort, select and use pets. We can now also see the quality of a pet during a battle. This is handy for knowing what to catch but it takes the fun out of researching pet families so that you can work out quality yourself during combat based off their stats. We also saw the addition of new pets to older raid instances (which now incidentally no longer need raid groups to enter). A single run of Molten Core saw me snag the Corefire Imp and a Blackwing Lair run rewarded me with Chrominius and the Untamed Hatchling so the drop rates seem quite good. I won’t go into the many class changes as I’m sure many of you are more familiar with the classes that received nerfs or buffs than I am. Rogues once again saw fairly minor changes. UI wise we have seen the addition of a “banner” when under the effects of crowd control. This has received some fairly negative feedback – personally I think it’s an excellent addition by Blizzard and means one less add on. As many people expected the new Warlock quest chain was omitted from 5.1 and is now slated to be released in patch 5.2. As some of you are aware I am off on holidays for the entirety of December, so this will be my last column for a little while, I was hoping to get into more detail on the changes but last minute preparations coupled with my recent engagement have left me rather busy. So merry Christmas and enjoy Patch 5.1! WoW’s 8th Anniversary: Share Your Stories! 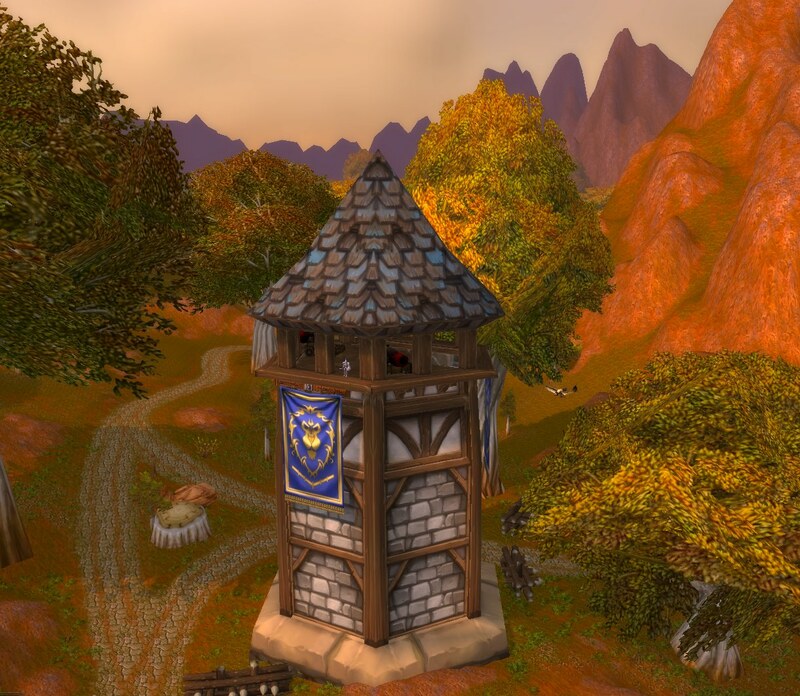 On the 23rd November it’s eight years to the day since World of Warcraft launched. To coincide, Blizzard have released a short video to commemorate the occasion. There’s nothing new in it and a lot you will immediately recognise from older videos, but all the same it’s a good way for current players and older players alike to see the breadth of content we now have access to. Hopefully that’s got you into the mood to share some stories about your time in WoW. I love hearing about people’s history with games and WoW has one of the longer histories. Have you been there the whole eight years? If not which expansion got you in? What are the most fun things you’ve done in-game? What parts of the game do you miss? It’s as good an excuse as any to share WoW reminiscences. The sky’s the limit so hop to it! Through The Mist: Is The Shine Wearing Off? As I’m sure many of you do, I regularly check the larger WoW sites such as MMO-Champion and Arena Junkies as well as the official WoW forums and I have to say I have been extremely surprised by what I have found there and more importantly by the responses of Blizzard reps on the official forums. 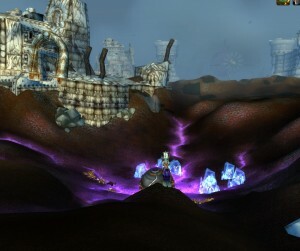 Players of all types have been expressing increasing concerns over the daily quest system. The most common area of contention is that players feel they are being forced into doing every possible daily every day in order to keep up with progression and this extends to repetition on alts. In response, Blizzard seem to be taking the stance that players are not forced into doing dailies – rather, we can do dailies, challenge modes, scenarios, heroics and LFR etc. I can see both sides of the argument and for the most part I enjoy doing dailies but to say that we are not forced into them is ridiculous. Yes we can run these other modes to gear up and to obtain both Justice and Valor points but what do we spend these points on? Well the answer is reputation restricted items from factions. It’s a Catch 22 situation – players can gear up from these other methods but is the randomness of a random loot system reliable enough to keep players, particularly more casual players, at a level where they can participate in and enjoy content? So far, my experience says no. In the past I have been involved in progression raiding and server firsts and the like but I am little more than a casual player in this expansion and I am still not at an ilvl where I can participate in current (albeit LFR) content. 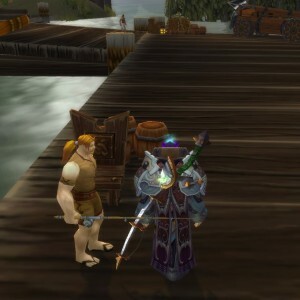 Players have in turn suggested a return to the tabard system that was employed in Wrath of the Lich King and Cataclysm and on this point I agree with Blizzard’s stance of not reintroducing them. Tabards, whilst extremely convenient, made reputation a trivial part of the game. It should mean something and work should be involved in unlocking these Justice and Valor point items as well as many of the mounts that are available. My alternative suggestion is to implement a tabard system that works much the same way as the original guild reputation system: allow players to use tabards but cap the amount of reputation that can be obtained per faction on a daily basis. The cap would include both dailies and tabards – this not only gives players a choice (something the vast majority of complainants are screaming for) whilst maintaining the integrity of the daily system. It also has the added advantage of getting people into dungeons again. Blizzard seem to be listening to an extent, insofar that they are planning changes to how alternate characters will accrue reputation and this is a positive sign going forward. The Naked Gamer is a regular opinion column that strips back the superficialities and looks at the flesh underneath. If you’ve got a topic you’d like discussed, drop columnist Kristy Green a line! I’m a very emotional person. I recently read The Book Thief and there were tears towards the end. I’m unashamed to say that it’s not the first time I’ve cried over a book or movie. So while I normally don’t have any problem connecting with something fictional, I’ve never been able to feel this same way towards digital worlds and characters. Therefore when I almost cried during the recent World of Warcraft expansion, it wasn’t something I was expecting. To avoid spoilers I won’t go into what happened, but anyone who has finished The Jade Forest probably knows what I am talking about. When watching that cut scene, I found myself involuntary yelling No! in a long drawn out fading screech that left my lungs empty. I waved my hands in front of the screen as if I could somehow stop the inevitable from happening. Unfortunately I couldn’t. When the cut scene finished, my heart sank in a way it never has before. I was left just sitting there for a long time staring at my little hunter with my mouth open, unsure how to continue. I feel that Blizzard has done some things right in the newest World of Warcraft expansion and storytelling is pretty close to the top of the list. They’ve taken the style of Cataclysm, where the story is told as you progress through the zone, but kicked it up quite a few notches. 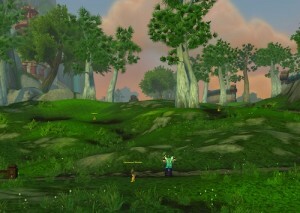 Mist of Pandaria sees a really heartfelt fable delivered in a way where you are a part of it simply by playing. You can’t miss it even if you skip reading the quest text. You can’t even ignore it while you rush to the finish the rest of the content. It’s just there, gently leading you through the beautiful world towards the big teary finale. In other games I’ve played, these sorts of story moments tend to just suddenly appear and before I can realise what’s going on it’s over. Because of this, I have been unable to appreciate their full meaning or even their true dire consequences. Or the story is so separate from the general game flow that it can be easily ignored or missed, leaving me to have to go backwards or forwards to continue. That is if I really want to. There has been a lot of debate over the last few years about linear progression and its role in theme park MMOs. It tends to be considered a feature from the bygone days and something future games should be moving away from. However, in order to tell a story, there must be a start, middle and an end. It may seem better to give players the chance to go wherever they want but it doesn’t help the story to force them back into an old area or even into the next zone just to be able to find out what happens next. If an MMO needs to continue with questing from hub to hub in order to tell a brilliant story that can bring me to tears, then please future MMOs, never change. Mists of Pandaria is now a reality, and being my third expansion playing the game (I started during Burning Crusade), I wanted to do something a little different this time. I thought about trying for a realm-first achievement rather than wading through the huge crowds of toons in the starting areas. I settled on trying to be the first person on my server to level Fishing to 600. 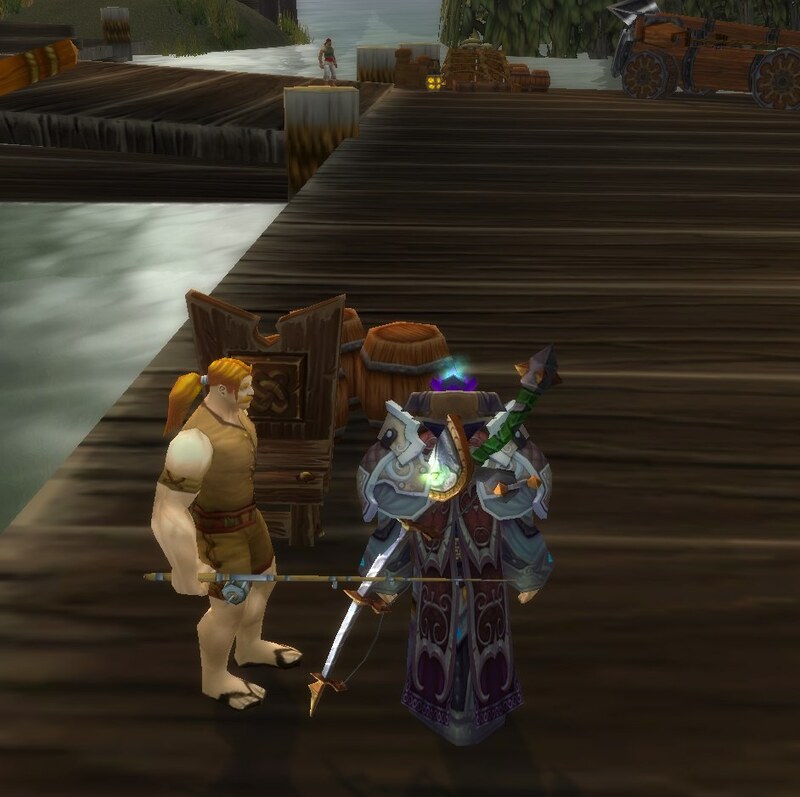 I perused the Bible of WoW fishing, spend quite a while making sure I had empty bags and my fishing gear ready to fire off – I had an Arcanite Fishing Rod from winning the Stranglethorn Fishing Extravaganza so I felt I was in with a fighting chance. After some investigation of locations to park myself near a Fishing Trainer, I chose the dock at Menethil Harbor because it was quiet and the trainer was nice and close to the water. 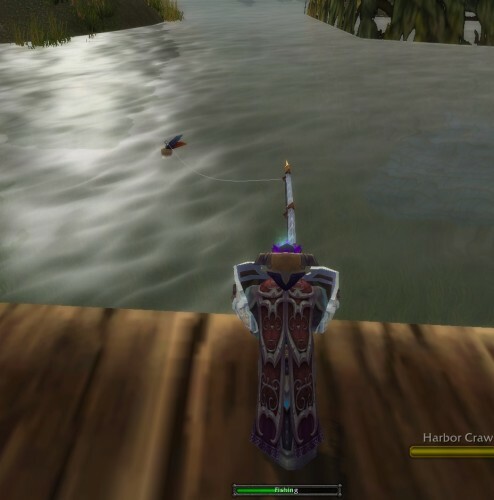 I was banking on Stormwind being a laggy mess, so I didn’t have a daily fishing quest ready to hand in to get a 2-point head-start, instead gambling on getting cracking on casting straight away. I was logged in and waiting to start 15 minutes early, which was a good thing as Blizzard flicked the switch to Mists of Pandaria at 4 minutes to 5pm local time. I trained up, blinked to the spot I wanted to fish at, and…. pressed the wrong key and put myself in an Ice Block. I lost 5 or 6 seconds there cancelling it but otherwise started on time. There started 1 hour and 50 minutes of tedium although I found it surprisingly enjoyable knowing the prize at the end (plus my GM had offered 10K gold to the first guildy who got a realm-first). As had been predicted, the average casts per skill point was around the 5 mark. Only once did my skill points go up 2 points, the rest were singles. I stuffed up two casts by clicking too early but otherwise had a smooth run. I also used lures half a dozen times but they don’t take more than a few seconds to attach. All up I would have lost one minute max on a perfect run. So there it was – it was disappointing not to pull off the realm-first but not being close made it easier in some ways. And hell, if anyone needs 258 Rainbow Fin Albacore, I’m the guy to see. 3. The whole thing is luck of the draw – if you have a bunch of 2 or 3 cast per skill points you are in with a chance, otherwise you’re pushing it up-hill. Over to you: did you attempt any realm-firsts and if so, how did you go? 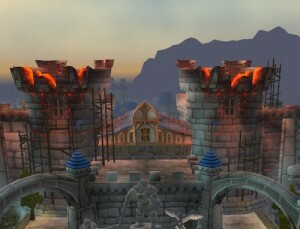 With Mists of Pandaria only a week away I felt like it was a good time for a review of its predecessor: Cataclysm. The anticipation I felt towards the end of Wrath of the Lich King was immense. Icecrown Citadel and Ulduar had been a return to the epic raids of the past such as Molten Core, Blackwing Lair, Karazhan and Black Temple to name a few. The reintroduction of Naxxramas as a level 80 raid also had me extremely excited having been stuck on the Four Horsemen in classic WoW before taking a break in preparation for the Burning Crusade. I was finally going to be able to defeat Kel’Thuzad and close that chapter of Warcraft lore – not only that but I would be throwing down against Arthas himself in the not too distant future. This is where I think Cataclysm faced its greatest challenge – how were Blizzard going to come back after having defeated Arthas, the antagonist of the unbelievably popular Warcraft 3? We had spent years working up to this culminating fight. The pre-expansion event had me fairly excited (The Cataclysm). Having also read the Shattering, the expansion’s companion novel, I felt truly immersed in the events that were taking place. My beloved zones were utterly destroyed as Deathwing emerged from Deepholme. I hated him for that as I am an altoholic. I loved many of the original zones, hated others. I played through them more times than I care to admit and came to love the environment of the game and this former aspect had come along and completely destroyed many of them and it was time for payback. The event really set the tone for me as I ventured into this new expansion – there was no way I was going to let Deathwing off the hook. So I logged into my account page and race-changed my Rogue to a Goblin and set about on my journey for vengeance. We also saw the introduction of two new races. After many years of petitions from players we finally saw the emergence of Goblins as a player race as well as the ever mysterious Worgen. I have played through both of these starting areas and must admit that I was quite impressed by the work done by Blizzard. During the Worgen scenario I truly felt that I was being hunted. The Goblin experience was less exciting for me but it left me with an even stronger desire to rid the world of Deathwing. That was about as excited as I got during the Cataclysm expansion. My levelling experience went fairly well, I was among the first level 85’s on my server. I thoroughly enjoyed Mount Hyjal, the ever elusive Mount Hyjal that we had ran through as ghosts or by cliff jumping very early on in the original form of the game. It was finally open and it did not disappoint. The zone itself made fantastic use of Blizzards phasing technology. My first foray into Cataclysm dungeons occurred on the first day as I headed into Blackrock Cavern with a guild group. This was a relatively positive experience and reinforced my hopes for the expansion. Mount Hyjal was followed by Deepholme. The cutscene entry to this zone was excellent and really set the scene as we ventured deep into Deathwing’s home. This was another impressive zone, I enjoyed the turmoil within the elemental plane and our efforts to assist Therazane. After completing Deepholme, and a few runs of the Stonecore (a thoroughly enjoyable dungeon that continued the storyline of the zone), I ventured into Uldum. I have to say this is where my experience went sour. The zone itself was fine, though a little spread out and at times it felt a little slow. My major gripe was that the zone felt like filler. There was no real point to it even existing. Granted they tied the zone to Deathwing lore but it felt forced. I can’t say that I enjoyed Vortex pinnacle, though it was fun on heroic and had some interesting mechanics. This lead me to the Twilight Highlands. Again the zone relied heavily on lore and led us to investigate the Twilight’s Hammer and Deathwing’s relationship with the other dragon flights. It was an interesting zone and tied into the Bastion of Twilight raid extremely well. The introduction quests to the zone, both Alliance and Horde, were interesting and I enjoyed doing them. Overall, I had a mixed levelling experience, so much so that I still have not levelled a handful of alts that I would like to and many that I have were levelled through dungeons alone. The zones after a single completion felt tedious and I did not wish to do them again on alts. This is the first time I have ever felt that way during my time playing WoW and it was a somewhat foreign experience. If I was forced to give it a score out of 10 I would probably lean towards a 6.5 or 7. It wasn’t terrible and many zones were enjoyable while others were frustratingly spread out. This brings me to heroic dungeons. I don’t really have anything bad to say in regards to heroics – we began running them almost immediately as a guild in an effort to gear up for raids. I can’t say that I ever found any of them overly difficult; some were tough at lower gear levels as you would expect but I have no memories of repetitive wipes in any of them. Some of the achievements were a lot of fun to attempt and whilst I did not complete the heroic meta-achievement, due largely to a break that I will mention below and some laziness. I still occasionally run the early tier of heroics so that is definitely a positive for Blizzard. The remakes of Deadmines and Shadowfang Keep were also fun. The addition of the Zandalari heroics later in the expansion is also a positive – I was not playing at the time these were released so I can’t speak for how difficult they were at the appropriate gear level but I quite enjoyed them at a higher gear level. I give heroics an 8/10. I have to say that I really enjoy the new zones. Blizzard has done an amazing job revamping the levelling experience and has made it relevant to the current content of the game. Lore-wise it is a little disconcerting that we do Azeroth and then move to Outlands and Northrend (that are effectively in the past) before returning to Cataclysm content. The other drawback comes from the levelling speed of the game. Even without Bind on Account items and Guild perks, that increased experience gain means it is possible to out-level a zone from a single quest hub. I found this a little annoying despite my enjoyment of the zones themselves. I give 9/10 for the new levelling areas. Bastion of Twilight was a similar story with the exception of Cho’ Gall. This fight for a variety of reasons took us some time to master and to be honest I really enjoyed it despite the wipes. I can’t say much for the rest of the raid zone. I found most of it boring and simple. Ascendant Council took some time to adapt to the mechanics and coordination required, but was overcome relatively quickly. I give this early raiding tier a pretty low score, a mere 3/10 overall. I was severely disappointed by it. After my guild defeated Nefarian and Cho’ Gall I immediately took a break from the game. This is an opinion piece and I think that a launch player who had played through every previous tier of raiding stepping back so early says more than my review ever can about that tier. I also note that I never did Throne of the Four Winds. Due to this, I missed all of Firelands. As a huge fan of Molten Core and Ragnaros I would love to have been a part of my guild’s progress through this raid but it was not to be. I still have not completed this raid having only returned to the game in mid Dragon Soul. This brings me to Dragon Soul. Due to the break mentioned above I was no longer a part of a core raiding team for Dragon Soul and had to settle with sub-ins and pugs. My experience overall was fairly positive and I enjoyed the zone overall and give it a 7/10. The introduction of the Raid finder. Well this is a debate in itself. It has polarised much of the WoW community and I personally like it. It gives casual and new players a chance to participate in later tiers of the game. The difficulty could probably use a little bit of tweaking – being able to ignore the mechanics of fights should not be allowed to happen but in general I feel it is a good way to make raiding accessible to all players. Hopefully in Mists of Pandaria we see a balance in the raid finder that is challenging and rewarding for new and casual players. This is where people will gripe that if I found the raids so easy why didn’t I do hard modes? The simple answer is I didn’t care enough about the raids to bother with them. Very few of the encounters even piqued my interest enough to go through them a second time. My break ended up being an extremely long one and from all reports I missed an excellent raid in the Firelands and if I have one regret from this expansion it is not completing that raid or even experiencing it. The reason I returned from my break was the WoW annual pass. I was always going to play Diablo 3 and the deal was too good to pass up, it also gave me a chance to experience MoP without having to purchase it. I am sad to say that it was nothing Blizzard added to the current game that brought me back . Overall, I think it is clear that I did not enjoy Cataclysm as much as I have the previous expansions of the game. This is not entirely Blizzard’s fault as I went through a number of issues in life that also affected my enjoyment of this expansion. Putting those aside however, I have to rate Cataclysm as the worst of WoW’s expansions so far. Note that I rate BC and WotLK the same – I put in an inordinate amount of work during Karazhan progression which affected my experience of the raid so I rank it lower than WotLK. Now your turn: what’s your feelings or thoughts about Cataclysm now that you look back? 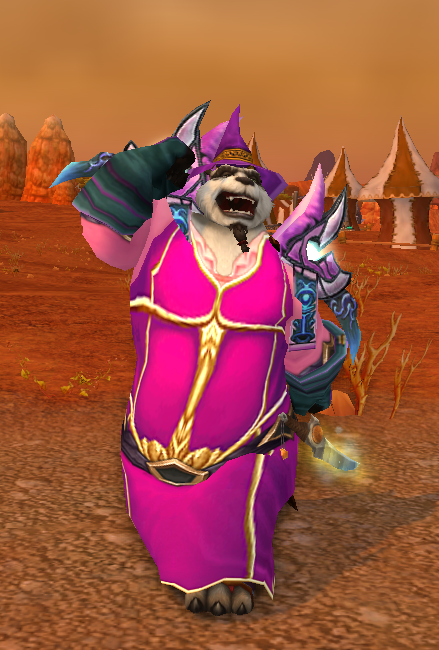 Well, I’ve just finished the pre-Mists of Pandaria event, The Fall of Theramore. I went in with fairly big expectations after having a ball with the pre-Lich King and pre-Cataclysm events. 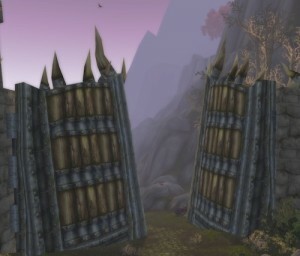 I’m here to tell you that the Fall of Theramore is a pimple on the arse of the previous two events. I won’t give any details away, but it’s essentially a three-person, six stage event that reminded me in some ways of The Culling of Stratholme dungeon for some reason. Except that dungeon had a bit more ambience – I have zero desire to go back and do the Theramore event again. Over to you: did you enjoy the event? Did you find it as good as previous events? Firstly I wanted to apologise for the delay between columns, it has been a pretty busy time for me. By now, we have all had time to adapt to the changes made by Blizzard in 5.04, and just in time with Mists just around the corner. There have been a lot of polarised opinions about the new talent system within the community, but it seems to be settling (for the majority of classes) now that people have had time to familiarise themselves with builds. The first thing I did with 5.04 was log all of my characters in and assign their new talents. Having played the beta quite a lot, I was fairly familiar with where I wanted to go with each character so it didn’t take me long, I would like to mention that a lot of players on my realm where struggling to grasp these new talent trees at first. Still, I had something of a learning curve actually putting the new talents to the test using Blizzard’s Looking For Raid function, I won’t get into the merits or lack thereof regarding this feature but it definitely served my purposes well when it came to trying out their new builds outside of a guild raid. It took a little while for me to really get into the rotations, having only really played a handful of dungeons on beta – most of my time had been spent levelling various classes and exploring. Once I found a rotation I was comfortable with, I barely noticed the differences. Sure there are a few new abilities such as Dispatch to work into rotations, but it seemed to be a fairly seamless merge into the new system. I noticed, as did most classes, a fairly strong increase in DPS. This of course is because most of the new abilities and talents are attuned to Level 90 stats. With our current stat budgets we’re at the top end of performance for this expansion and will likely see lower relative dps at 90 than we are currently seeing. I have also enjoyed the changes to Holy Paladin and I am tossing up on who to level first and progress into raiding for MoP. So how did your experience of 5.04 go? Are you enjoying the changes or do you hate them? Did it have any effect on which characters you want to level?